A true PAO oil stands in a category of its own above all other synthetic formulas. 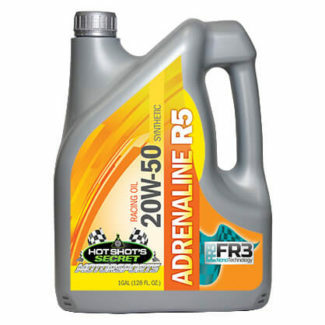 Hot Shot's Secret 5W40 and 15W40 CK4 specification are 100% pure synthetic using only Group IV and Group V base oils. The 5W40 and 15W40 PAO CK4 are a blend of poly-α-olefin (PAO) and polyolester (POE) oils that requires a very small amount of viscosity improvers to meet the weight specifications. 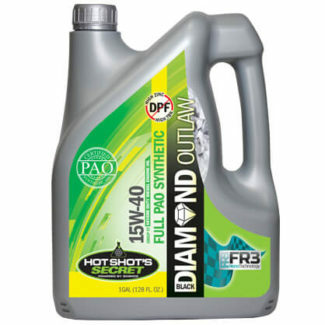 This allows the Hot Shot PAO oil to be loaded with more longevity and performance additives, keeping the oil cleaner longer and providing better mileage and horsepower. The infusion of our patented FR3 Nano-Technology and CK-4 additive package provides unsurpassed levels of longevity and performance. 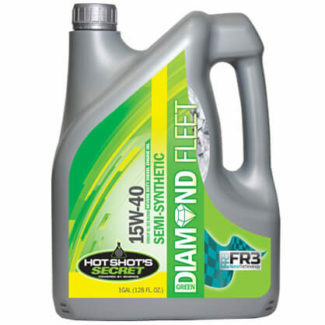 Blue Diamond oil is recommended for most diesel engines. The CK-4 specification is backwards compatibles with the CJ-4 and the CI4 Plus. 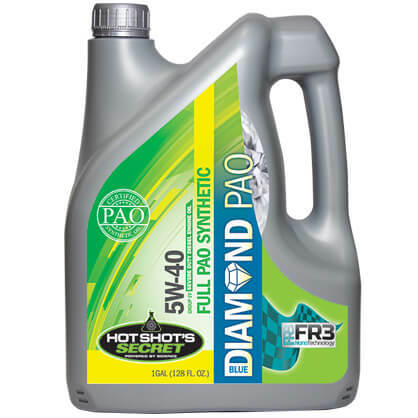 In addition to the CK-4 specification, Blue Diamond PAO Oil meets the requirements from Ford for added wear protection as stated in Ford Specification WSS-M2C171-F1 (not all CK4 specifications meet both the CK4 and the Ford spec). I love it. Truck starts better no smoke on start up in the morning and eot runs cooler. Yes, absolutely Rick! Either variation will work, 5w40 or 15w40…thanks! Yes it is Frank! Especially the 5w40 version. Can I use this on a gasoline engine??? 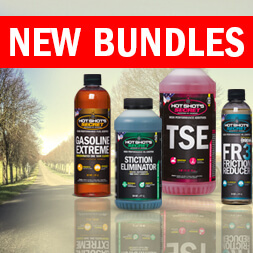 Hi James, our oil has too much additive to meet the gasoline specification. The issue is the ash level; if the vehicle is not consuming oil it should be ok, but we will be introducing a PAO gasoline oil in the next 6 months so stay tuned! Will this work for my 2015 Ram 1500 Ecodiesel? I switched from a top tier full synthetic to the blue diamond, I believe it’s a little higher quality. 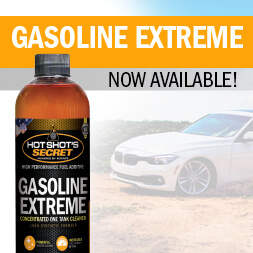 Having researched and talked with the chemist behind the Hot Shot Secret products I think it’s the best for my 6.0. 112000 mi and no injector related problems.